One of the things that we most enjoy is being able to share our knowledge and experience with others. 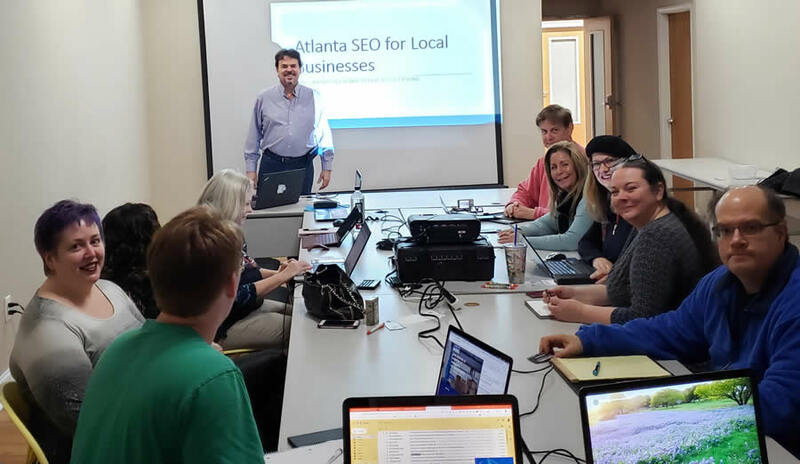 One way that we do this is by conducting a monthly Meetup called Atlanta SEO For Local Business. Held on the 1st Tuesday every month from 7:00 – 8:30 PM, we break down fundamental SEO strategies that can help businesses improve their rankings. Since this Meetup is aimed at the local businesses, we keep the workshops practical and easy to follow. Sessions have covered the following topics: Keyword Building Strategies, Effective Content Creation, A Deep Dive Into Google Analytics, Managing Your Google My Business Profile, and more. We plan to provide a re-cap of the fundamentals every quarter so that a newer person can join and not feel overwhelmed. The team at i360 Group also provides a complementary Website Audit to any of the attendees that request it. This is a great way to identify any technical issues that can be a barrier to search ranking success.